It's finally here! A new look for Crystal Allure that better fits our brand of handmade beaded jewelry. Isn't it just fabulous!! I am so excited to announce our grand re-opening of the online jewelry boutique and with it comes some fantastic offers -just for you! A HUGE (did I mention HUGE) thank you to Maria from Galleria de luce (Bella Business Branding) for all her hard work, design expertise and overall patience and guidance throughout this process. The whole redesign process went rather smoothly and I'm sure alot of that had to do with Maria. It all started one day when I looked at the Crystal Allure website and saw it for the first time in a different light. I guess you could say, I had a "gee...." moment. So off I went searching the internet for either some kind of inspiration or a designer who I felt was the right fit for Crystal Allure. I found Maria's website, saw one of her available logo's -it happened to be a swan and as Emeril would say, "BAM". 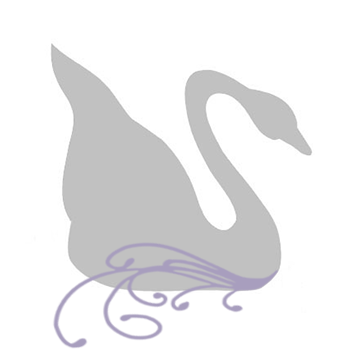 I was able to picture her swan logo, with my jewelry, my brand of designs, what I wanted to convey and more. So I contacted her and well, as they say, the rest is history. The Swarovski label is the quintessential symbol of quality, elegance, style and beauty. That is why nearly every one of my jewelry designs uses Swarovski Crystals as accents (not to mention I'm koo-koo for crystals! I love anything that sparkles!). It is my hope that Crystal Allure Jewelry will debunk the myth that crystal jewelry is only appropriate for formal affairs. The swan logo was perfect because it mirrors the Swarovski label and because a swan has always reminded me of the ugly duckling story. I design my jewelry so that you can wear it everyday and instantly feel transformed when you put it on. Crystal Allure Jewelry, Redefine Your Femininity! 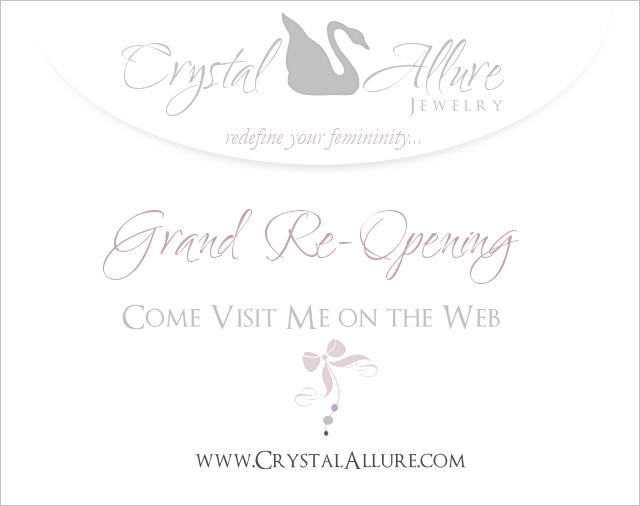 I'm so glad you found Crystal Allure and I'd love to have you celebrate the grand re-opening with me. From today through April 30, 2010, use coupon code grandopen2010 for 20% off your order. Hold on, I'm not finished yet. Not only is there no minimum order requirement, you can use this discount as many times as you want until April 30th. 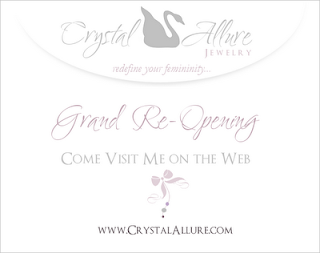 AND, for each order you place from now until April 30th, your name will be entered into a drawing for a chance to win a $50 jewelry gift certificate towards anything at CrystalAllure.com!! Happy Shopping and good luck to everyone entered for a chance to win the $50 jewelry gift certificate.